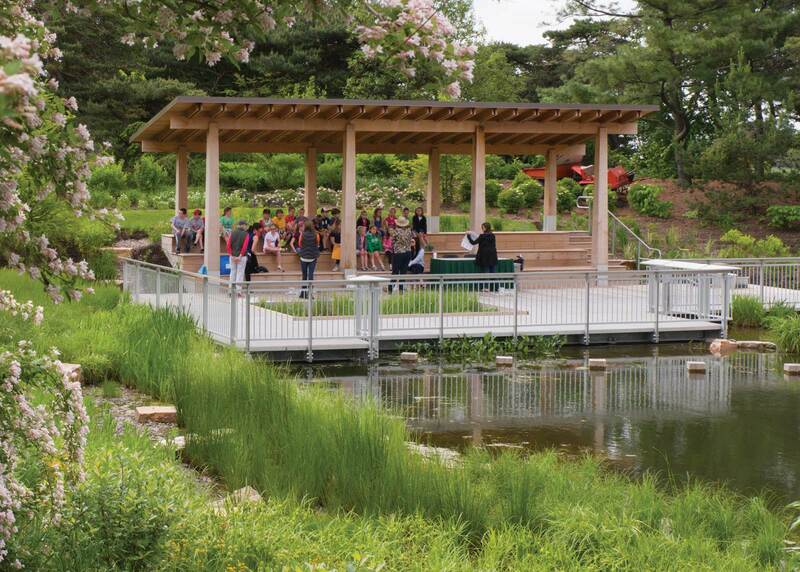 Kleinman Family Cove is part of a three-acre Learning Center campus that provides outdoor education for children and youth. 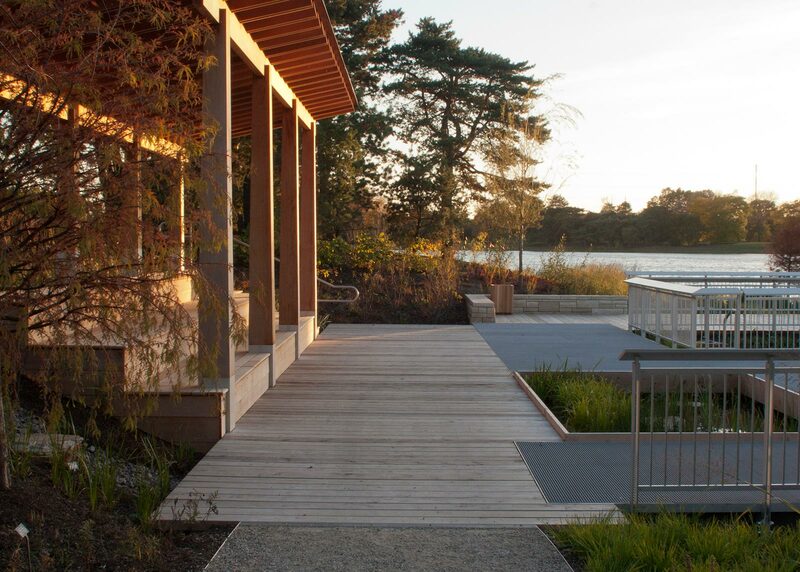 The project encompasses half an acre and consists of five docks over the Garden’s lake, as well as a pavilion built into the natural grade for outdoor discussions and lectures. 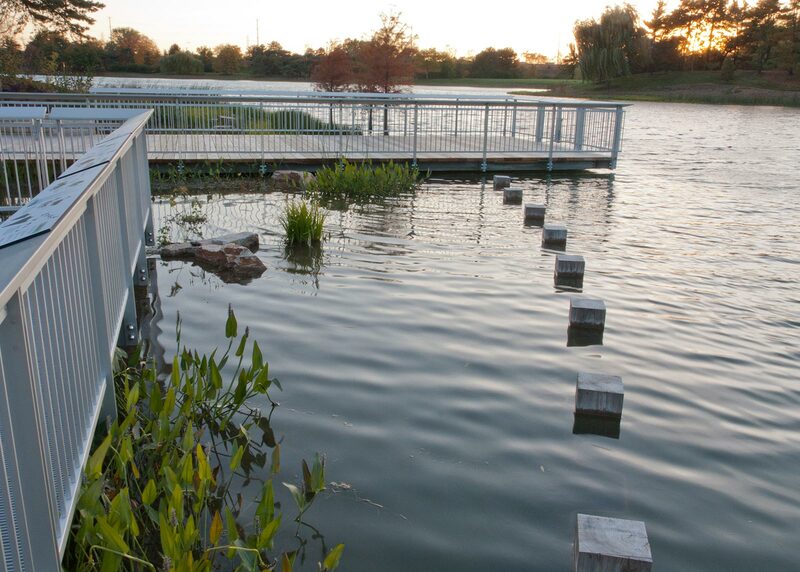 Nearly 75 students can explore the aquatic world through wading areas, planted pools for hands-on learning, and deep water testing from the dock’s edge. The surrounding plantings contribute to a diverse ecosystem of terrestrial and aquatic life and aid in ongoing shoreline restoration efforts. 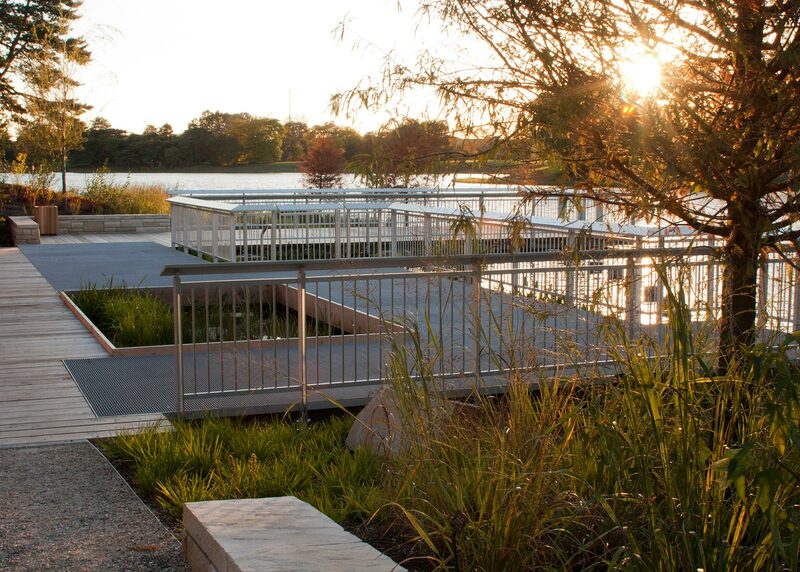 Terrestrial plantings emphasize native species and broaden the Garden’s extensive collection, while anchoring Kleinman Family Cove to its natural setting.